Few survived The Winecoff fire as narrowly as Bob & Pauline Bault. 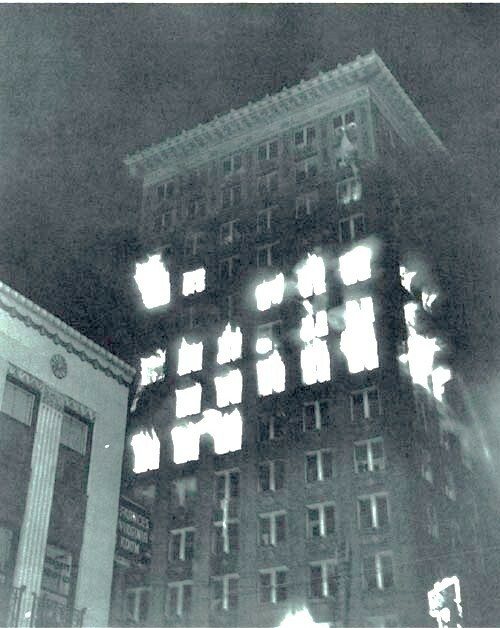 Fourteen floors above Peachtree St. searchlights found them and spectators gasped as they moved precariously from the window of room 1404 to the window of room 1406. Trapped there, room 1406 became a virtual oven during the fire. 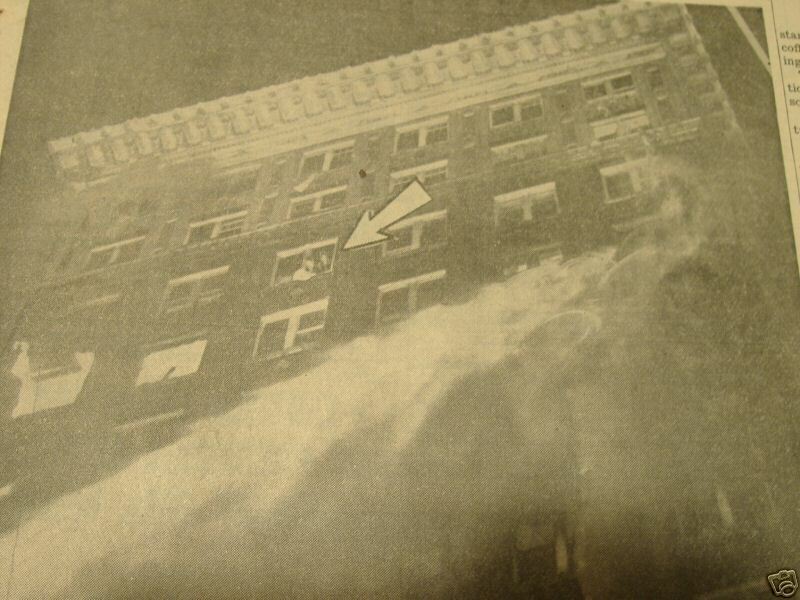 It was directly above the middle floors which were roaring flames from their windows during the fire's explosive flashover. Fortunately, eleven month old Sally Bault was safe at home with the family's maid. 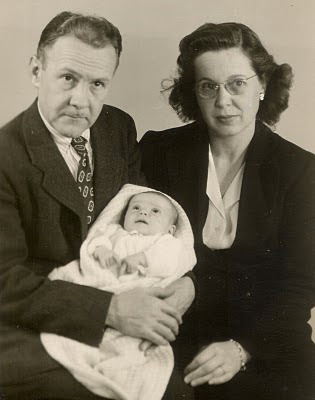 The Baults' story is told in chapter three of The Winecoff Fire.